Sometimes you just want a take away that’s as tasty as it is pretty. Well, enter Lil Canteen, the Coast’s newest, and dare we say prettiest eatery to date. Lil Canteen is the little sister to every foodie’s favourite place, Decisions Café so you know the place has good genes. 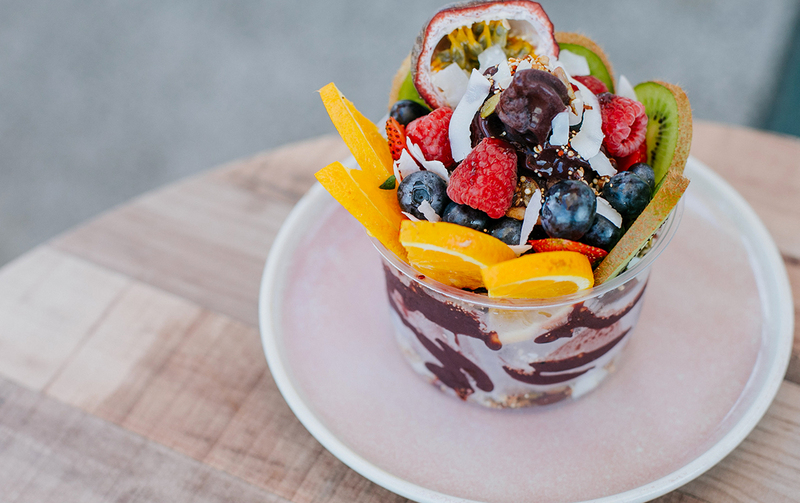 Lil Canteen aims to be the Sunshine Coast’s most convenient ‘food cube’, offering a range of delicious eat-in and take-away dishes that are (almost) too pretty to eat. Think fresh juices, smoothies, acai bowls, and, just like their big sister Decisions, lots of ‘superjunk’ and ‘superfood’ goodies. So, whether you’re on a health kick or feeling a little naughty, there’ll be something here that tickles your fancy. So, what can you expect to see on offer at Lil Canteen? The best part about their menu is that it’s designed to change daily, as everything is made from scratch with fresh and locally sourced ingredients. 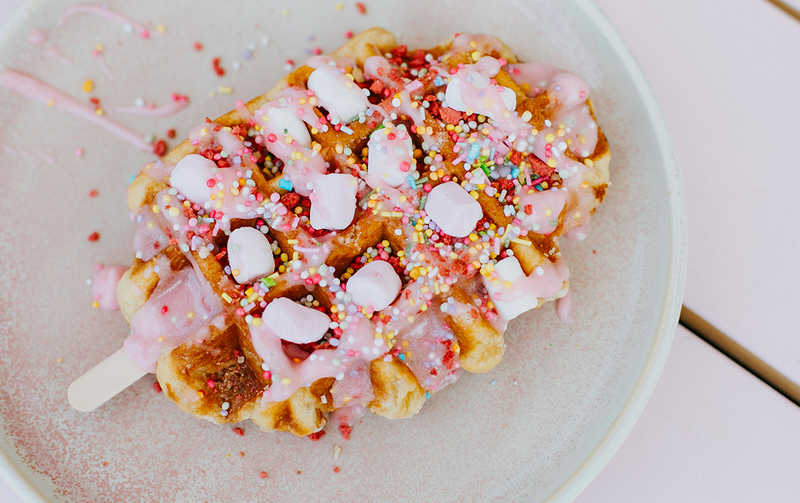 However, you can expect to find regular goodies such as Golden Gaytime shakes, Nutella brownie waffle pops, handmade cheesecakes, chili hot dogs, strawberry pancakes with cream and Persian fairy floss, and iced velvet lattes. They also stock a range of delicious eats from Decisions Café so we predict this food cube will be your new go-to when you’re craving something a little special, like a mermaid latte or a fully loaded acai bowl. Not only does it churn out delicious eats all day every day from 6am to 6pm, but Lil Canteen is also the prettiest food cube we ever did see. 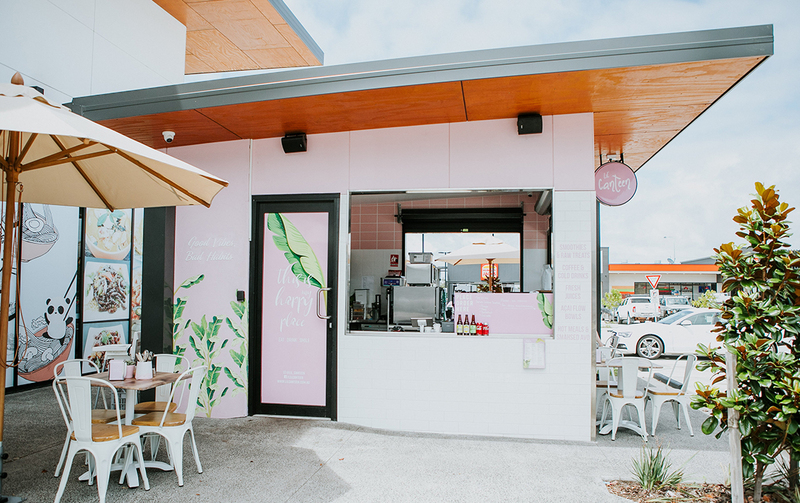 Located in Buddina just off Nicklin Way, this cute pink cafe is an Instagram post waiting to happen. This joint is fast becoming one of the Coast’s most loved hang out spots, and with plans to extend their opening hours to 8pm with even more food options, it will soon become your go-to for late night catch ups and evening waffle pops.